Eau d'Italie's Sienne l'Hiver has been hanging around in my purgatory basket1 since it launched back in 2006. I've taken it out a few times to give it another shot, and then I've put it right back where it was. I don't know what keeps me from moving it to the "no" pile. Perhaps it's because so many people love it,2 or perhaps it's because it's by perfumer Bertrand Duchaufour? Or perhaps it's because it is named for Siena. I try not to get too wrapped up in fragrance back stories — they so rarely resonate with the juice, and often that's just as well — but Siena is such a lovely place, wouldn't it be nice if it had a fragrance to match? The sample hung around in my purgatory basket long enough that it got mostly used up, and what was left was rather stale, and who knows, maybe the stuff has been reformulated in the interim. (While it languished, Eau d'Italie redid their packaging; the bottles still look like functional products instead of luxury perfumes, but now they look a little more expensive). So I got another sample. The opening is, briefly, cold air tinged with green, then it moves indoors, and we get a rush of sensations: something earthy that could be the "white truffle" listed in the notes,3 something briny that must be the "black olive accord", something lightly but persistently sweet (at first I called it fruity, then I changed my mind, then I decided that no, it was definitely fruity), quite a bit of cold iris, a bit of something nutty (some note lists include roasted chestnuts), some light woods, much later, a little whiff of something like woodsmoke. I decided that the iris reminded me of the "stones of a temple in a far-off land" from L'Artisan Dzongkha (also by Duchaufour), so I put that on too; next to Dzongkha, the relationship is clear but Sienne l'Hiver smells oddly bland. I wondered about the papyrus, which I don't really notice, so I sprayed on some L'Artisan Timbuktu (again, by Duchaufour); next to Timbuktu, Sienne l'Hiver could be some residue left from the perfume you got on your scarf two weeks ago and that hasn't entirely faded away. I decided to stop comparing it to other fragrances, and I wore it again a few times by itself. It is a quiet scent: the description I gave above doesn't adequately explain how quiet it is, or how clean (or how unfoody, despite the fact that the olive note is always what I remember later, after the whole thing has faded away). It's easy to forget you're wearing it; even when I notice it, I tend to forget it's a perfume. It does not bore me, mind you — when I remember to pay attention to it, I'm interested — but nor does it draw me in, and I was fascinated, later, to read in the description at Luckyscent: "this is not designed to entice or bedazzle, but to lead you into deep conversations over an espresso with a long-lost friend". Aha. I have plenty of fragrances like that, I would think, and also plenty of fragrances that, like Sienne l'Hiver, might reasonably be accused of not really working as personal fragrances at all. That's ok. I do not demand of my perfume that it work well as a personal fragrance, and I don't demand that it entice or bedazzle others, but it has to entice me, doesn't it? Sienne l'Hiver, in the end, all too successfully evokes the dank chill of my least favorite season, winter. At least, I think it does. I am moving it into the "no" pile for now, we'll see if I change my mind next week. 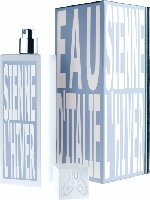 Eau d'Italie Sienne l'Hiver is available in 100 ml Eau de Toilette. It is unisex, and Eau d'Italie calls it a "smoky chypre". The lasting power is quite good. For buying information, see the listing for Eau d'Italie under Perfume Houses. Note: come back on Sunday to see Jessica's review of Eau d'Italie Au Lac. Another note: top image is Siena straight up by jurvetson at flickr; some rights reserved. 1. The purgatory basket is where I keep fragrances I can't make up my mind about. 2. Or do so many people love it? I will be curious to see what people say in the comments. It does seem like it comes up frequently, and Chandler Burr called it "virtually perfect". But there are also quite a few "meh" reviews: see the Non Blonde and Pere de Pierre, among others. 3. The notes are something like geranium, violet leaf, fern, iris, mimosa, olibanum, white truffle, black olive accord, gaiac wood, papyrus root, straw, cedar, musk, labdanum and benzoin. I’m so glad to see you review this one. I’ve also had a sample forever and periodically revisit it (and Bois d’Ombrie)—most recently to compare side by side with BD’s Frapin 1697. There is a sour-greenish something in the opening that always puts me off, but the drydown reminds me of smelling a distant bonfire while surrounded by wet leaves—“dank chill” is a perfect description, and I kind of like dank chill, but I’m not willing to wait through the first part to get there. Bois d’Ombrie went in my no pile right away, and it’s been so long I can’t remember why. But the Frapin — I have not tried that yet, is it anything like Sienne L’Hiver? I had assumed (can’t remember why) that it was one of his “thicker” scents, like Jubilation or Baume du Doge. The Frapin isn’t really anything like Sienne L’Hiver. “Thicker” is a good description. I smell leather and I think there’s a lot of patchouli in it, and overall it feels sweet and heavy–in a good way. There’s something a little musty about it–also in a good way!–that I get from some of his other fragrances like Paestum Rose or Timbuktu. Ah, good, that was what I was expecting. I need to get a sample. I’m still kicking myself for not buying a travel size of Jubilation XV when I could have, so stupid. Paestum Rose has been on my buy list forever too. Baume du Doge was the one that hung about in my purgatory bag before breaking through into the like category. Sienne L’Hiver, on the other hand, went straight to the no pile and has since been rehomed. Too danky flagstoney for me, with added mould/lichen/truffles – something vaguely fungal and not good. Sorry BD! Dank flagstoney — you know, I probably own a lot of fragrances that could be described that way, including Dzongkha. Sienne l’Hiver is that extra step into winter, I guess. BD can’t mind, he gets plenty of love on the blogs, right? What a lovely picture! Siena happens to be one of my favourite cities in Italy, and probably all of Europe. I am generally not overly fond of Duchaufour’ s work. I don’t really like either Timbuktu or Dzongkha. I admired Nuit de Tubéreuse and Havanna Vanille, but so far haven’t felt any need to own either. I love Traversée du Bosphore and Paestum Rose, and own a full bottle of the latter. This one doesn’t sound very tempting though. Hey, you like 2 of them at least! Plus they’re 2 of my favorites. But, from the sound of it, you don’t need to try Sienne l’Hiver. Hahaha! Purgatory basket!!!! Very fun. I have one too! I do some trades with them and make them purge on other hands far from me when it’s possible! I must say right up front that I own a bottle. I had to have not because it is sooooo beautiful but because it simply is by definition, a purgatory scent. It definitely isn’t a perfume as we might expect. It is a theatrical setting in a bottle. What I get is the smell of olive mills in the early winter and the smell of red clay bricks. And then some dry beans that have been soaking overnight in water to cook. And the smell of acrylic water colours. I loved the complete lack of almost any note you would easily find in a perfume (yes, there must be iris in there but it just hides under pressed olive pits and clay). I don’t wear it very often. I have to be in the mood for it. It is quite strong on me and it has to fit perfectly with the occasion. It is dramatically bitter and thick. Like oil paint. I must also add that I have tried almost every scent in the line and I could see myself owning all of them. I am not very fond of Duchaufour’s work for L’ Artisan Parfumeur. His colours are too watered down there. But for L’ Eau d’ Italie, I think he was really inspired. How interesting…we are opposites, as I find most of Eau d’Italie’s scents too wan and polite (Baume du Doge & Paestum Rose are the only ones I really like, and the PR is the only one I’m dying to own), & much prefer L’Artisan. Ive owned a bottle of this too. I love it. I dont think its bland at all. This is definitely one of a very few reviews i completely disagree with. Really, one of very few? I am surprised! And glad to see some fans of this one are showing up. I own and love this unique fragrance. Despite its name, Sienne l’Hiver feels most right to me in fall, probably because of the the food associations. However, you’ve inspired me to try it in spring! I love the mix of earthy and tangy-sharp green elements. It lifts me out of the ordinary! See, then I was right: people do love it! Curious if you love Dzongkha too, or just Sienne l’Hiver? I like Dzongkha very much! I think I prefer Sienne l’Hiver, though. I always face those two off against each other, and Bois d’Ombrie against Timbuktu as well. Of the four, Bd’O is by far my favorite. It and Dzonkha are the more wearable, IMO, where Timbuktu and Sienne both require a very particular mood. I have decants of all 4, but don’t see myself buying a FB of any. Oh.. and all 4 are fall scents to me. I have a 15 ml bottle (I miss L’Artisan’s 15 ml bottles!) of Timbuktu, and I’ve surprised myself by how often I wear it. It is what I think of as a “difficult” scent to wear — the weather has to be right, and I have to be in the right mood. I don’t know if I really think of SlH as “difficult”, but it seems like many other people here do. I own Sienne, Timbuktu, and Dzongkha. Timbuktu is the one I wear the most. Oddly, I haven’t tried Bois d’Ombrie. And I can’t remember it! I’m sure it has many fans, but I don’t hear about it very much. Thank you for the thoughtful review Robin. I do the exact same thing with Sienne l’Hiver! I have it in my no box, but I keep dragging it out from time to time. 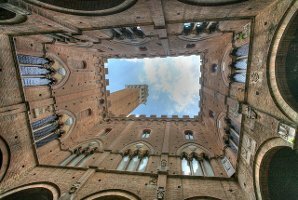 I too want to love it because Siena is a favorite city and because it is a Duchaufour. I smell only the briny olive mixed with peppery and smokey notes when I wear it, and I agree with Haunani that it reminds me of the autumn, more so than winter. (Then again, I’ve only been to Siena during the summer so it may capture the winter mood of the place exactly.) I WISH I got the cold iris and chestnut you mention! Paestum Rose, on the other hand, would probably be my desert island fragrance if forced to choose only one. Paestum Rose is such a great scent, it’s one of the ones I most regret not owning. Really wish they would do (attractive) 50 ml bottles. Robin, I love it when you and others at NST review interesting perfumes that are NOT new. I’ve always wanted one of the Eau d’Italie Duchaufours, liked this one and Paestum Rose, but have never been able to choose or to get past the unpleasant packaging. Since you’ve gotten me thinking about them again, I’ve realized that decants of both would be the ideal solution! Aw, Noz, the packaging is OK. It doesn’t let light in! I keep all my bottles in a cabinet anyway, but yeah, do not love that label. That’s it exactly, rendangboy: the typography hurts my eyes and jangles my nerves! I don’t care for the color scheme, either, but could probably ignore that if the typography wasn’t so LOUD. I’m not fundamentally opposed to a simple or functional packaging if the design is OK – I don’t mind the Comptoir Sud Pacifique’s aluminum containers, for example, and Diptyque’s simple but elegant bottles are among my favorites. They redid their packaging…the older bottles are round. I can get past the packaging, but not the packaging PLUS the large size. True – at 30 mls it wouldn’t be so obnoxious. Plus it would be under $100 and they’d be paying us to wear it! I’ve now ordered the decants, which are probably all I’ll ever need anyway. Also, in answer to your question to Haunani, above, I do have a discounted partial bottle of Dzongka. I bought it as a less celery/cumin/sweaty version of Timbuktu, but I get a sharp, almost vinegary note that keeps me from totally loving it. My theory is that, in his pursuit of new perfume ideas, BD takes risks with materials that are a bit unreliable, i.e., smell much stronger to some people than others, which alters the balance and partially accounts for the divergent reactions. Still, I find these weird Duchaufours very compelling and MUST have them around to sniff from time to time. Nozknoz – I totally agree with your theory about BD’s risk taking re: materials. Where others get a bit of smoke from Dzongka, I smell like I’ve been fighting forest fires for two days! Hahaha, so of course, you know that I get no smoke at all. I always wonder what they smell like to BD himself, LOL! NONE, Boo?!? LOL!!! I’d love to study body chemistry and perfume. Is it diet? Ethnic origins? Other influences, i.e. alcohol, smoking, lotions, soaps on the skin? And yes! Things smell differently on/to men than on women, so what is BD getting??? After reading tantalizing reviews and so many admiring comments about Sienne L’Hiver, I just KNEW I would love it. However…on me it was beyond terrible – acrid celery seed and rotting wood. It was a true blue scrubber that went directly to the no pile. In fact, if anyone would like to try it, I’d be happy to mail out my sample. And for company I’ll toss in my tiny sample of Tauer Vetiver Dance – another perfumista favorite that was an epic fail on me. Just drop me a line at scentred at gmail dot com. Acrid celery seed — great description! Vetiver Dance did not work on me either. Now,… I’ve read BD has a new oud by The Different Company… That sounds (expensively) interesting! Oh no, TDC is jumping on oud too??? What a shame, I am really and truly sick to death of oud. And I just tried their new Pure Virgin, can’t remember the last time I liked a fragrance so little. Loved their last one though, the Bachmakoff. I tried 3 or 4 of their line back in 07 when I went to Barcelona. I did not see them in stores in the US.. I guess that they are more hard to come by there. But I’ll try the Bachmakoff if I can find it! They are not widely distributed here at all, a few stores, that’s it. You are probably right about the oud, but I literally don’t care: I have every sort of oud I need already. LOL to your comments on winter, kaos.geo! My fav ouds are the deftly balanced Kilian Pure Oud and Rose Oud – Calice Becker is a genius! I hope you get a chance to try them if you haven’t already. I’ll be interested to try BD’s TDC oud, of course. I like his L’AP oud, but not as much as the BKs. So glad you chimed in, and what a nice description! I’ve come to love it! It took me over 20 times of testing, before it clicked! As much as I had to get myself a back-up.bottle. When I first tried it, I thought it a vile, musty and rotten scent, so I set it aside. A year back, whilst clearing up my stash, I found it, and tried again and again. But..no..awful on me..then last October, I tried it, and it was there!! A rich, summery, warm and slightly floral ..when settled.. scent!! But one must be patient or else it will not reveal the true core of itself! I generally love the products of BD, so I was a bit baffled that neither this one nor the Bois d’Ombrie were love at first sniff , but they are now! Interesting. I never found it vile, but I do have to say I have been patient…it is not going to be love, I don’t think. I’ve always been drawn the name, but every description I’ve read leads me to believe that this would be one of those ephemeral, gone-in-a-flash fragrances that frustrate me no end. In some ways, I don’t mind having Scent Eating Skin, but I’d like for my scents to stick around for a couple of hours at least. I’m also sensitive to musty notes. I think I’ll just not seek this one out. Oh, it is not short lived on me at all, in fact, the lasting power is pretty good. the olive note is just way too ripe for my tastes. pass. paestum rose on the other hand, love love love! This fragrance almost gave me an electroshock: it brought me back 30 years in a place surrounded by sweet rolling hills; not in tuscany though: in piedmont. I don’t know why, but it felt like a smell from my childhood, and it was sad, and cold and gray, though my young years have been anything but. Strange feeling, but quite a strong one. Won’t buy a bottle, but as someone said above, I could happily wear all BD’s eau d’italie efforts, and toss all his l’artisans to the bin, except HV, maybe. I could use that one! Interesting – I find several of the BDs evocative of some other place and time – I hope you find your specific memory someday, Zazie! Thanks for the cologne recommendation – I had completely overlooked that and must really try it. Let me know if you like it! I’m not that much into colognes, but I find l’eau d’italie to be an original and quirky take on the genre while being very wearable! I always enjoy your reviews, Robin, even when I know I’m not going to be interested in the fragrance. BD’s scents generally don’t work on me at all – I have pretty old fashioned tastes in perfume, and smelling like olives or stones or smoke just isn’t me. I’m the odd man out on that one. I do think most people demand that their perfumes “work as personal fragrances”, which is perfectly reasonable! Maybe you just have a lot more self confidence than I do and don’t mind smelling like Kalamata olive! I don’t think that’s it — I think it’s partially that most of my fragrance gets worn at home, just for me. If I wear it out, I wear VERY lightly. So I don’t think all that much in terms of how a fragrance will smell to others. Ah, good point. I have some of those too, i.e. Patch 24, I don’t really want to smell like ichthammol when I go out! I’m firmly in the “like” camp. It’s sort of the background scent to my cool, wintry musings: sitting in perfect solitude amid crunchy twigs and leaves during late autumn/early winter, the light is fading fast, all is still and quiet, and a sharp, bracing green scent lingers in the air, I inhale deeply and…….aaaahhh! I find it invigorating, maybe even a little melancholy, but in a good way. I had not thought of it that way, but yes, it does seem melancholy. Hi Robin! I *definitely* love Sienne l’Hiver and was sort of smitten the first time I smelled it a couple years ago. I’m a fan of several by EdI, especially Sienne & the eponymous scent. I just wore Sienne a few weeks ago for the first time in awhile and was reminded gow unusual it is. I’d find it very hard to describe to anyone and the list of notes does read very strangely. I don’t know that any one accord stands out to me, but it is sort of earthy and vegetal. I find it comforting — though not a ‘cozy’ scent — and very peaceful. It really does evoke something like the scents one might inhale on a walk somewhere. And for what it’s worth, I love Dzongkha, but there’s always been an odd accord in Paestum Rose that really doesn’t quite agree with me. Go figure. It’s weird: Timbuktu is like a holy grail for me… but that thing in Paestum always bothers me a little. Enough that I’d buy it last of all the other Eau d’Italie scents! Oh, except Magnolia Romana. I decided a couple weeks ago that one does NOT do anything for me at all. I kind of hate it. Magnolia Romana was really a dud, IMHO. But sounds like they’re two different musty things that I’m smelling as one & the same. I love Sienne L’Hiver, but my partner hates it! It’s one of those I just can’t wear around him (Le Labo’s AnOther 13 is another). And I have to go out to the deck to decant it, even in the dead of winter. It definitely is a perfume of winter (also my least favorite season); but for me it’s not the cold of winter, as much as the warmth inside. The gourmand note that lingers with me us the chestnuts, a staple of Mediterranean winter. But thank goodness it smells nothing like Sienna, because Sienna was the stinkiest city I’ve ever smelled–and I grew up in Beirut, but Sienna reeked of horse droppings! That being said, I feel that the Eau d’Italie line in general isn’t so much perfumes as olfactory sketches of places, moody but very well done! Did Siena reek of horse droppings? It didn’t when I was there, but I wasn’t there for long, and it wasn’t during the Palio. Late comment. It’s an unusually cool and rainy spring day here, so I decided to get out my Sienne l’Hiver. I’m just loving it! The incense and woods are really standing out, after a couple of hours. Yum! Thanks for the nudge, Robin.